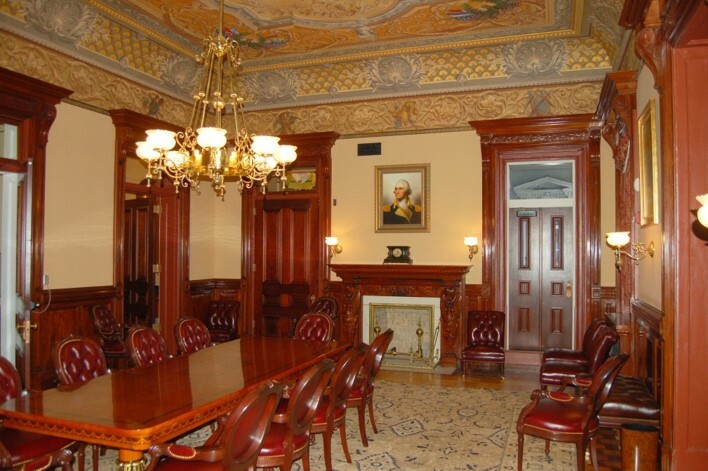 Eisenhower Executive Office Building - Stephen J. Kelley, Inc. 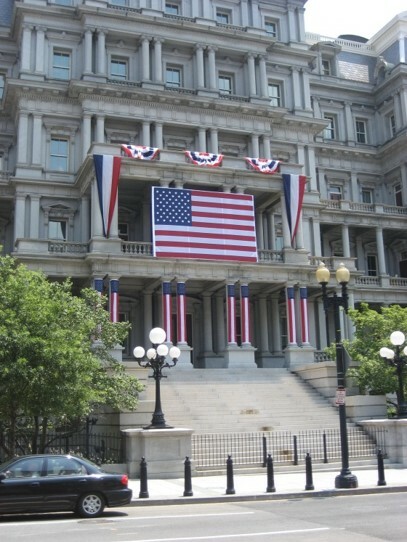 Constructed between 1871 and 1888, the EEOB was originally designated the State, War, and Navy Building following the design of Alfred B. Mullett in the Second Empire style. It rises seven levels above the basement and the four wings form a 472 by 258 foot rectangle. These wings enclose two rectangular courtyards separated by a transverse central wing which links the east and west wings. The façade is clad in granite and the roof is finished with slate, copper and cast iron trim. 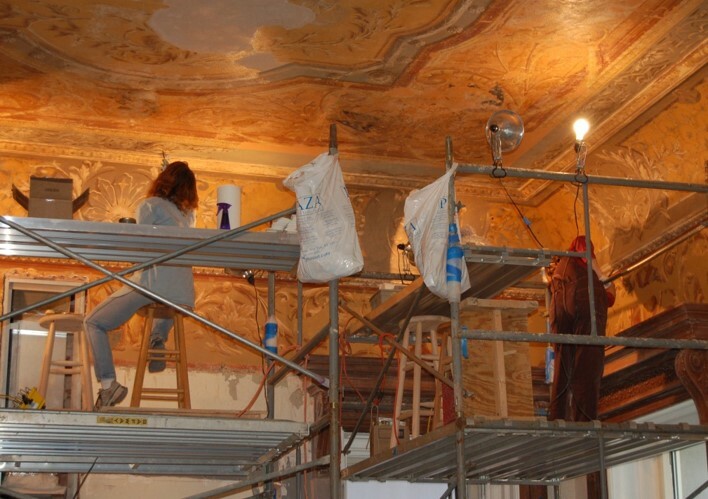 The hallways are finished with marble floors and decorative plaster ceilings. 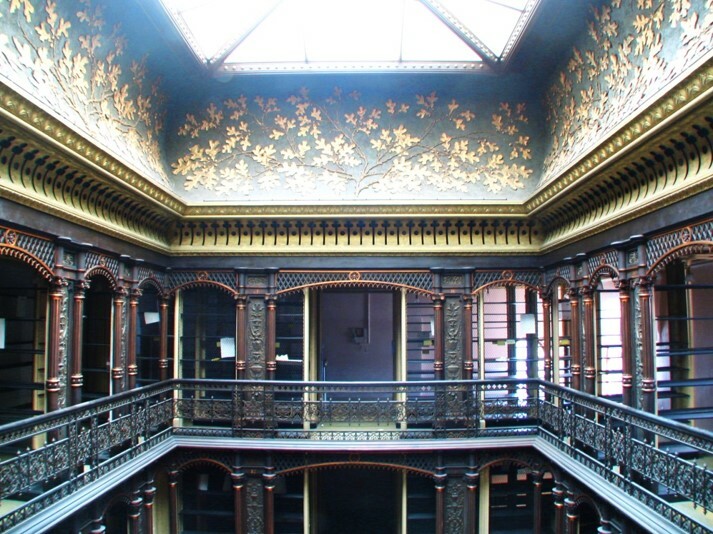 There are six monumental stairways along the corridors with rotundas of stained glass. 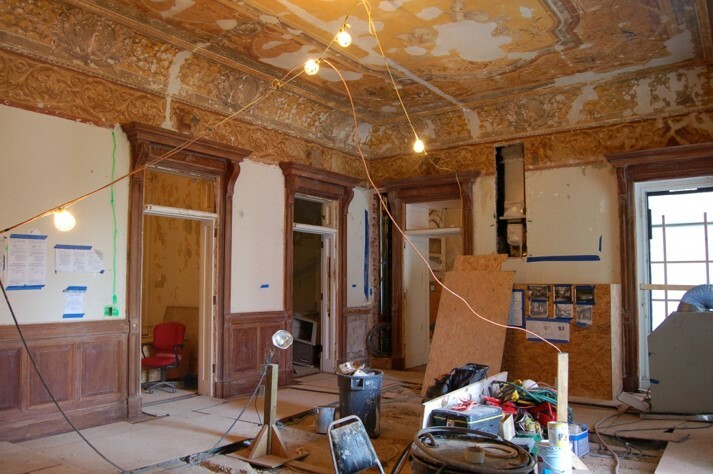 Most of the offices have hard wood floors decorative plaster ceilings and cast iron trim. The Secretary of War, Secretary of Navy and Secretary of States suites have parquet floors, and stenciled walls and ceilings. Libraries in the west and south wings are finished with cast iron. 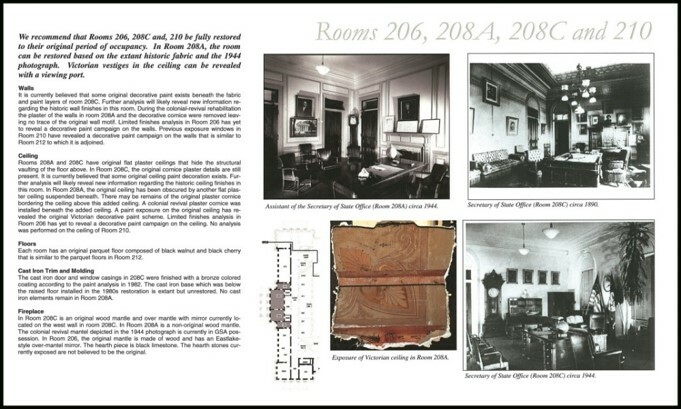 As historic preservation specialist to the Design build team numerous challenges were encountered in protecting historic fabric during MEP upgrades and building hardening. Work entailed recordation, historic attribute survey, and development of gesso plaster and parquet flooring conservation strategies. 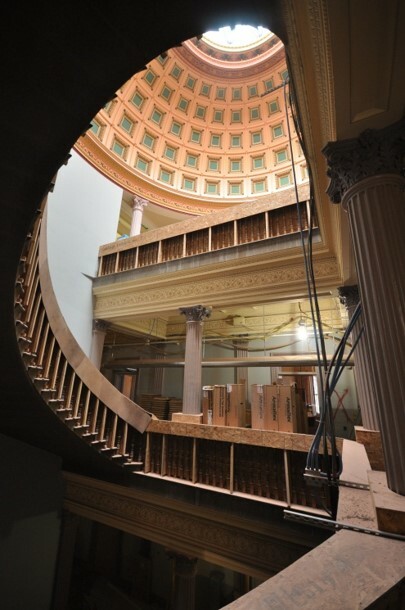 Restoration designs were developed for the Secretary of State Suite. Facade cleaning and restoration as well as the copper roofing replacement was performed.